If you look at this formula then you know that nth term in the Fibonacci sequence is equal to some of the previous two Fibonacci number. Once you know that, all you need to do is write code, which we'll see in the next section. There are two main ways to calculate nth term in Fibonacci series, with recursion, and without recursion. Since the Fibonacci sequence is naturally recursive, it's easier to write and understand a recursive solution, hence, we'll see that first. Why Fibonacci series is naturally recursive? Well, because, you can divide the problem into sub-problems and can solve it in a similar way. For example, for finding Nth Fibonacci number, you can find N-1th Fibonacci number and N-2 Fibonacci number in the same way and combine the result. But, how do you start? Well, for beginners, I know that starting is the most difficult part, but if you look at the problem statement you will find that you need to write a function, which takes integer argument (nth term) and return an integer value, the nth Fibonacci number. This is enough to start with. Next, for writing a recursive solution, you need to first find a base case, In recursion, the problem is divided into sub-problems until you can solve them and base case refers to the smallest sub-problem you know how to solve. For Nth Fibonacci number, we have two base cases fib(0) = 0 and fib(1) = 1 which means we already know how to write this function for two input 0 and 1. Once you solve the problem for the base case, remaining is to know how to solve a bigger problem by combining the solution of a smaller problem that's the recursive code, where a function calls itself. Done, that's all is required, now our recursive function is ready for testing. Here is the recursive solution for calculating Nth Fibonacci number in Java. You can see that our test program is testing the fib() method for different inputs like 0, 1, 2, 3, 4, and 5. 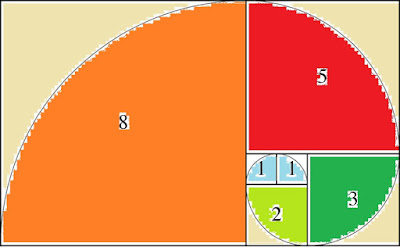 You can pass any number to calculate the Nth Fibonacci number. For example, for calculating the 20th Fibonacci number, you can call fib(2. I haven't printed anything on this program but I have used assert statement, which means if your Fibonacci function is correct then when you run this problem it runs just fine without throwing any error, but if the program is not working as expected then it will return different values and our assert statement will fail, throwing errors in console. This is a better approach than printing in the console as by looking at asserting statement you know that what is expected from function and output is automatically checked by assert statement rather than you checking it manually. That's all about how to calculate Nth Fibonacci number in Java. As I have said, you can solve the problem using both recursion and iteration and we have looked at recursion first, as it's easier to write and understand. I'll explain the iterative code in the next article, till then you can try and run this program. Thanks for reading this article so far. If you like this article then please share with your friends and colleagues. If you have any issues, please drop a note.